When you log on to a computer on any Madison Area Technical College campus with your username and password, you will be automatically connected to your home directory. A home directory is simply a folder, or storage area, that is located on a network server. Look for your home directory as another drive on the computer. The (H:) drive is the default drive letter for your home directory. You can save and open files to and from this directory just as if it were the local hard drive or flash drive. To save to your home directory, Use the menu: File, “Save as…”, select your home directory (H:) drive and save the file. When you login to another campus computer, you'll be able to access files saved to your home directory. Any items saved to another location on a campus computer, such as the C: drive or hard drive, will be deleted automatically when you log off. Those files cannot be retrieved. Setup folders for each class to help organize you coursework. Back up your work in multiple locations. For example, save a copy to a flash drive, your H drive, a personal computer, and/or email a copy to yourself. Remember that space on your home directory is limited, so move files to another storage location that you need to save, and then delete files that are no longer in use. Students are given 500 MB of space in their home directory. If you go over the space limitation, you will receive an error message indicating your home directory is full. Your files will remain in your home directory throughout the semester. You should have access to your files while you are enrolled in classes at Madison Area Technical College. When you are no longer a student, you will no longer have access to your H drive. So you should plan to copy your files to another storage location. Note: IT department computers are on a separate network. 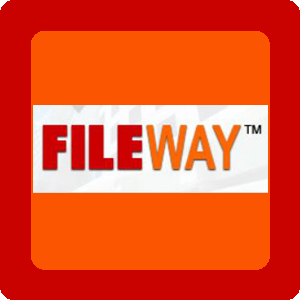 From the 3rd floor of the Truax Health building in the IT department you may need to use FileWay to access your H drive.